The elegantly simple oval design of our Hawthorne Estate Wall Two Lines Address Plaques makes it ideal for most any home's exterior. Available in a variety of finish colors to complement your outdoor color scheme. • Installation hardware is included. • Select from 11 color combinations. 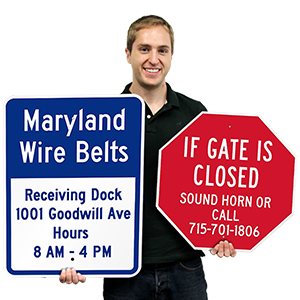 • Your personalization is permanently imprinted into the plaque. • Enhances curb appeal while adding value to your home or property. • The Alumi-Shield™ all-weather coating preserves the appearance of the plaque. 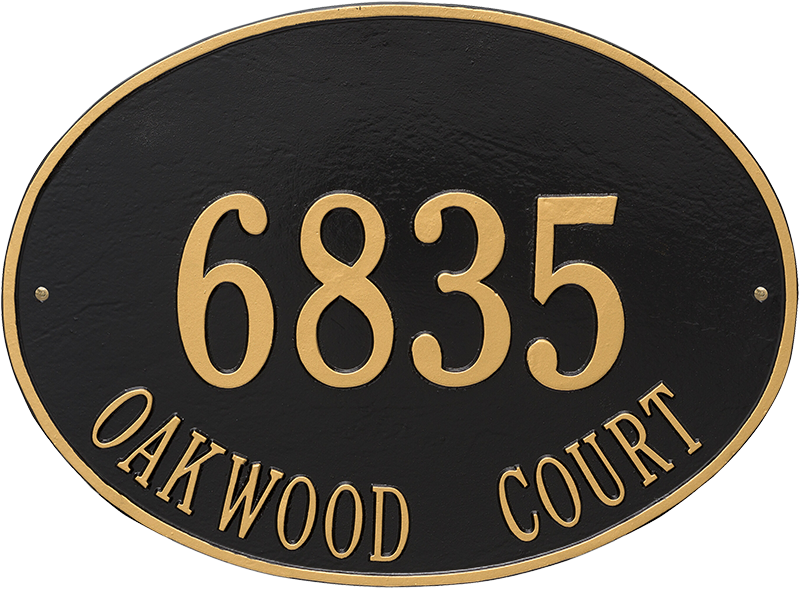 Hawthorne Oval Address Plaque (Wall) 14" x 19"
Available in 11 durable all-weather powder coated colors. 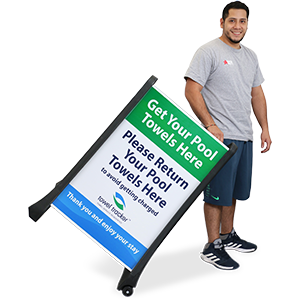 Made of 375 mil (.375") thick cast aluminum with an exclusive Alumi-Shield™ coating that was developed to withstand the harshest elements, repel UV rays, and maintain the appeal of the plaque - enhancing the durability. Decorative architectural design with large bold numbers that enchance visibility. 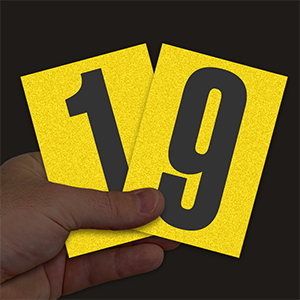 Line 1 holds up to five 4.5" characters and line 2 holds up to seventeen 1.75" characters.